Thanks to volunteers, Boy Scouts, Austin County neighbors and area stores, last Saturday’s Sharing Easter Food Drive was a great success. The food drive, sponsored by Austin County Republicans, collected over $2,500 and more than 330 pounds of food. In Bellville, about 60 pounds of food was donated, and Boy Scout Troop 36 collected $825 for the Bellville Christian Food Pantry. Roughly 75 pounds of food was donated in Industry, with Boy Scout Troop 299 collecting just under $550 for West End Food Pantry. Several boxes of food were collected in Sealy at Bill’s Country Market and Walmart. In addition, Boy Scout Troop 548 collected $1,000, which will be given to the Sealy Christian Food Pantry. 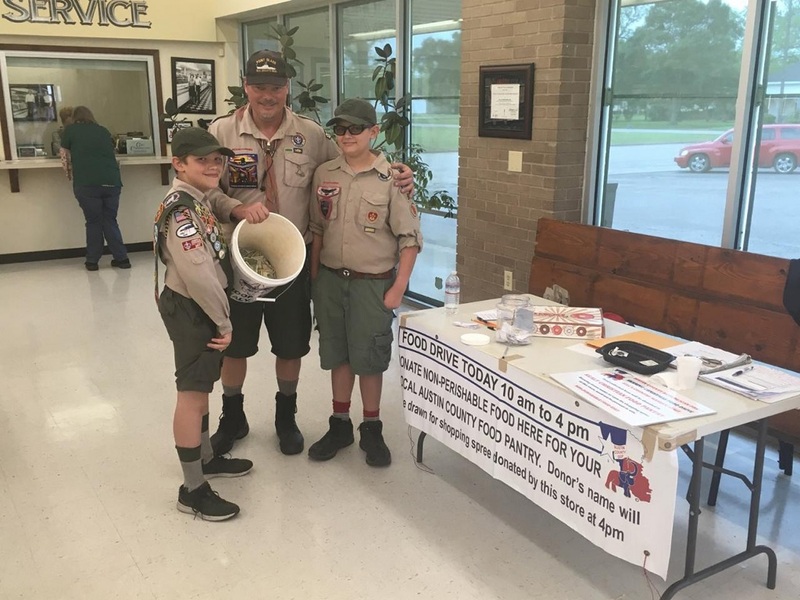 In Wallis, 200 pounds of food was donated and $168 was collected in the Scout donation jar, which will also be donated to Sealy Christian Food Pantry this year. 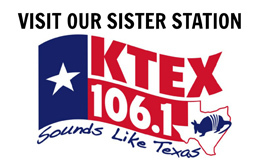 Since the first Sharing Christmas Food Drive in 2016, Brookshire Brothers in Bellville, Lindemann’s Store in Industry, Bill’s Country Market and Walmart in Sealy, and Dollar General in Wallis have welcomed food drive tables at their stores. Each store donates a $50 shopping spree, two from Walmart, to the donor whose name is drawn at the end of the day. Boy Scout Troops 36, 299, 548, and 990 have been on hand to help with collecting food and donations. Written by: Josh Blaschke on April 17, 2019.